The microwave is fitted with a replaceable carbon filter which effectively reduces cooking odors. The filter can be easily replaced by your own. The control buttons are not backlit. 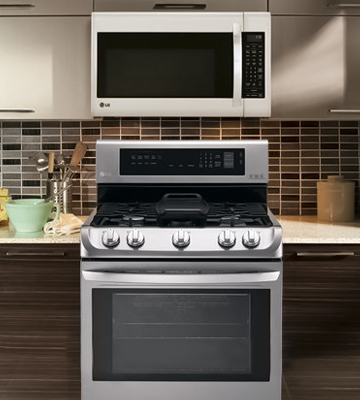 The Whirlpool WMH31017FS is unpretentious in installation and good in term of functionality. 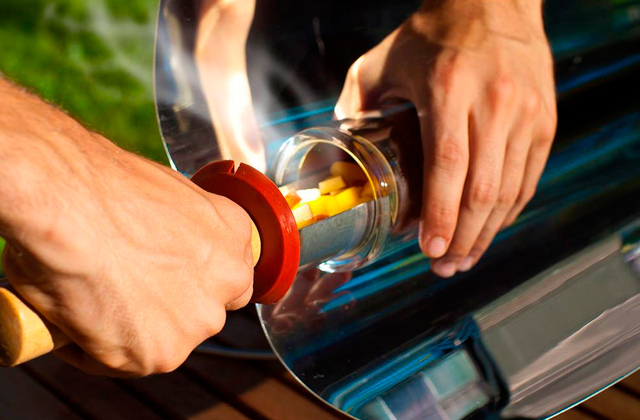 It can vent the air through the back, the top, or right out the front into your kitchen. 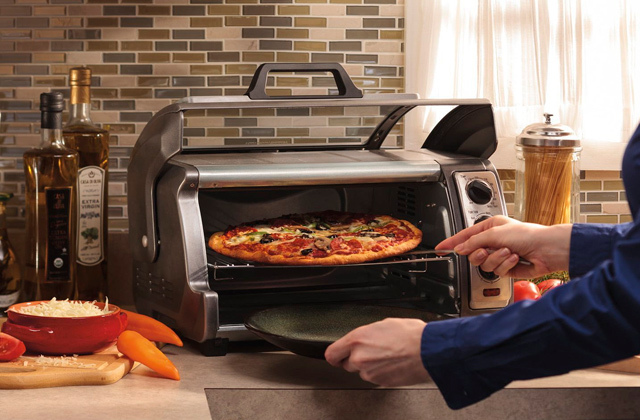 29.9" x 17.9" x 17.25"
Owing to the patented QuietPower ™ ventilation system, the oven makes almost no noise even at the highest speed. The touchpad could be more responsive. 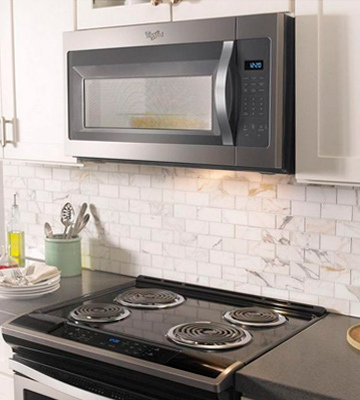 This microwave with vent is especially useful for those who own studio apartments and need a super-quiet kitchen appliance. Although it's not that big from the outside, its interior is huge. 29.9" x 15.9" x 16.4"
Due to 10 power levels, you can set the optimum mode based on the weight and size of your food. Choosing the right setting won't be a problem, as the digital touchpad is very responsive. The filter is a bit tricky to replace. This inexpensive and easy-to-use model will be the best option for people who need a basic above-stove microwave oven for heating and defrosting their foods. 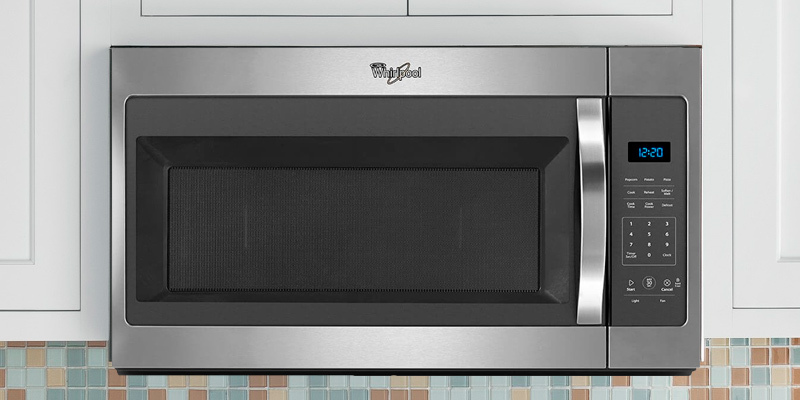 29.9" x 15.25" x 16.5"
Thanks to built-in sensors, the microwave automatically adjusts the power level and cooking time depending on the food. Plus, this oven is more powerful than its counterparts. Sound notifications might seem annoying. If you’re in the market for an extra large, extra powerful, and extra durable over-the-counter microwave, the Frigidaire FGMO205KB is a worthy investment. 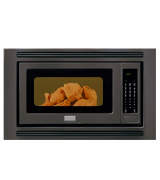 24" x 19.1" x 13.4"
This microwave oven looks sleek with its stylish black casing and simple design. Plus, it has a nice fingerprint-proof finish that contributes to the overall look and ease of cleaning. The built-in fan is rather noisy. 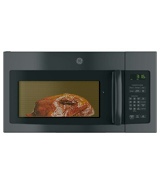 The GE JNM3163DJBB is a sleek-looking microwave that is simple to use and effective at removing foul food odors. It’s a great fit for small, contemporary kitchens. The Whirlpool WMH31017FS is one of those products that strike a perfect balance between price and quality. Made in durable stainless steel, the oven has clean lines and modern design that can fit well into any contemporary kitchen. 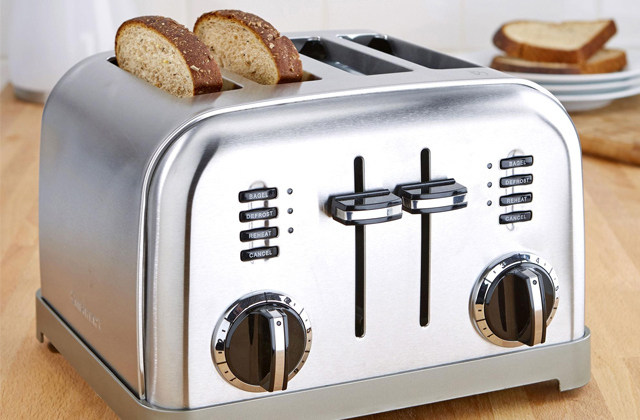 Besides sleek design, this over-the-counter microwave works well and is easy to operate. It’s featured with a soft touch panel that offers 6 one-touch cooking programs including special settings for Popcorn, Potato, and Pizza. 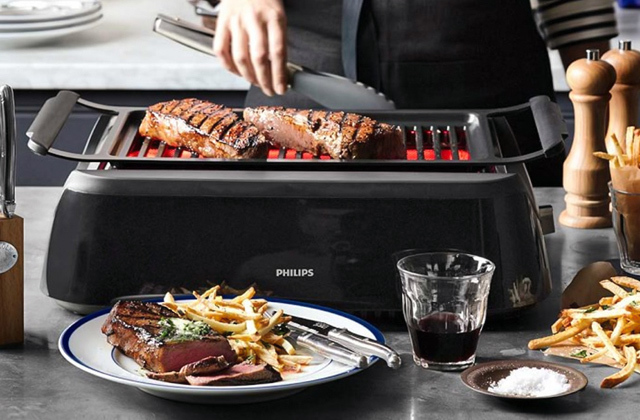 Also, it can be set to “defrost” and “reheat”, as well as be programmed manually for specific cook time and power for your recipes. As a cherry on top, it has "add 30 seconds" button which many customers find particularly useful. Overall, the keypad is very responsive and probably the only flaw with it is that the buttons are not backlit. It would be nice to cook something at night without a need to turn on the light. On the positive side, the oven comes with straightforward instructions and is easy to install without extra assistance, even if you have zero experience. The unit can be adjusted so that it will vent the air through the back, the top, or right out the front. If you have no vents in your kitchen, the last option will be particularly useful for you. In all, the Whirlpool WMH31017FS is unpretentious in installation and good in terms of functionality, which makes it a win-win choice on all levels. 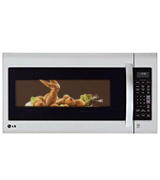 If you live in a small apartment that combines a living room, bedroom, and kitchen all in one, the LG LMV2031ST microwave is a perfect pick. The trick is that it's fitted with a QuietPower vent and operates almost silently on the maximum power settings. Thus, you can switch it on and it'll cook popcorn or whatever you want without disturbing people around. 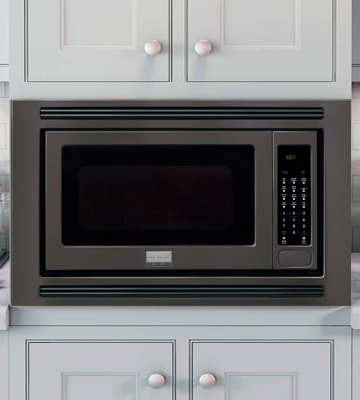 This above-range microwave oven looks very stylish with black and grey shades. The unit itself is stainless steel except for a tinted glass door. It's beautiful in its simplicity. The vertical control panel is pretty easy to use with SmoothTouch controls. The display is clear, yet it could be a bit bigger. Overall, it's not a huge appliance and LG engineers managed to get the most of its design. They used the space wisely and extended the interior capacity up to 2.0 cubic feet. This is more than enough for an average family. 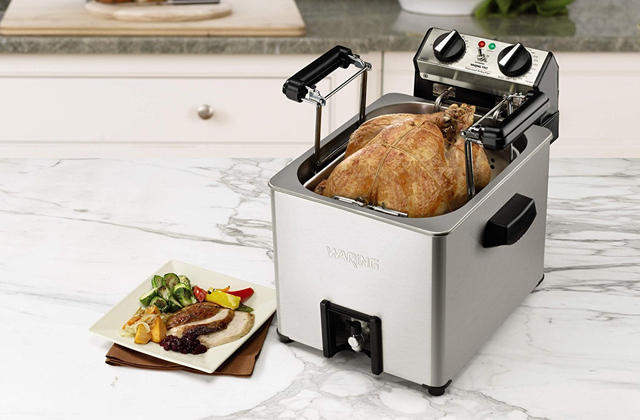 This capacity also means that cooking large meals will become a simple process. Considering functionality, we can safely say that this over-the-stove microwave works very well. 10 power levels and a great number of pre-set cooking programs will allow you to cook whatever you'd like to. The highlight of this model is its 4-speed fan that moves a large volume of air even on the lowest setting. Unlike similar appliances, it features an auto-off function, meaning you can simply set up the fan and it will shut itself off automatically after 1, 3, 5, 10, 30, or 60 minutes. So, if you need a quiet and functional microwave oven, it's a good choice. The GE JVM3160RFSS microwave oven is an extremely affordable option, and that's the case when you "Get what you pay for". It has no extra frills and offers just a basic functionality. It's a simple appliance that still works decently well. 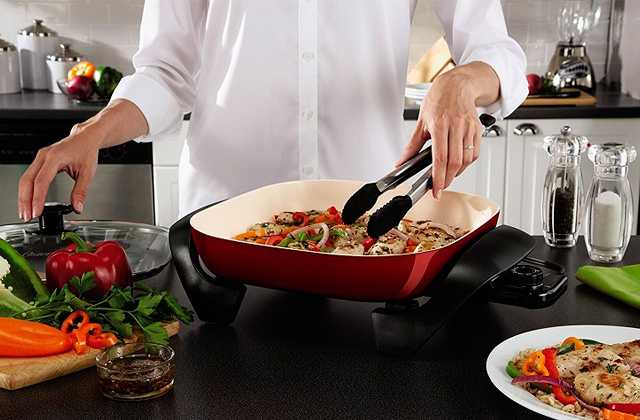 It has 6 quick-cook buttons that enable you to start a cooking cycle from 1 to 6 minutes long. And thanks to the "Keep warm" setting, you can keep your food warm until you're ready to eat it. There are also some other useful programmes on the control panel, and among them, you'll find such popular pre-sets as "Popcorn", "Beverage", and "Potato". 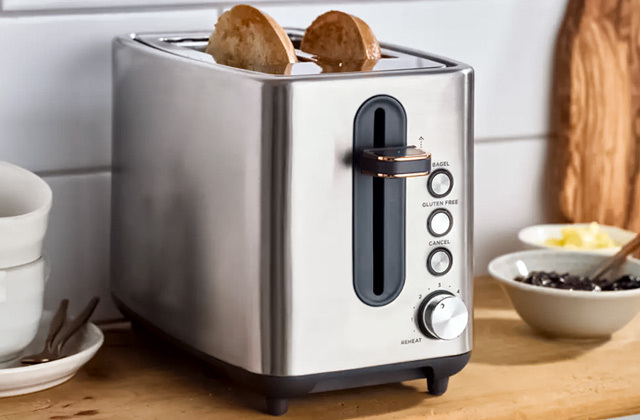 Unlike high-end models, this one doesn't offer "Sensor cooking" and can't automatically adjust time/temperature according to the steam going from your food. However, you can get some control over cooking using two fan speeds. 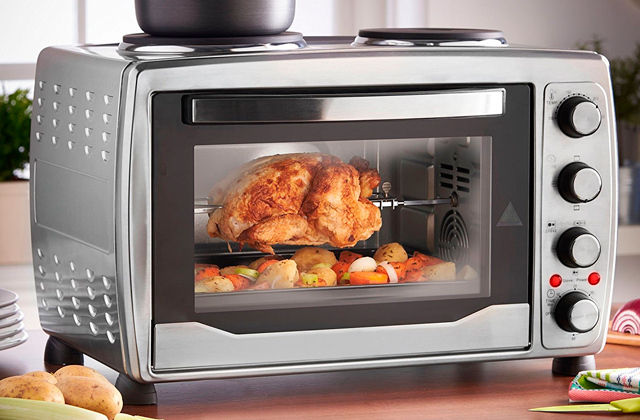 The oven can move 300 cubic feet of air per minute inside a 1.6 cubic feet inner chamber. We would like to note that the exhaust fan is automatic and once it detects heat from the stove underneath, it will turn on until it cools everything down. And, unfortunately, the fan is really loud. The unit is easy to set up by yourself, as the installation is quite straightforward and the instructions are clear. Once assembled, the oven looks nice and solidly-built. The door feels robust, and the internal latching mechanism is durable enough to survive daily use. 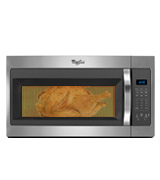 All in all, it's a reliable and affordable microwave oven. And if you're ready to compromise on a cooking sensor, we find no reasons to overpay. 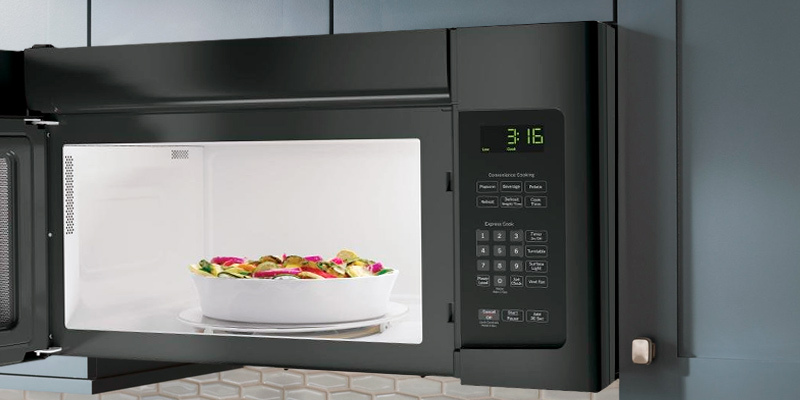 If you need a super-durable microwave and are ready to shell out extra bucks for extra quality, the Frigidaire FGMO205KB may be right up your alley. The Frigidaire company has long been among the most reliable brands with the lowest number of service calls. So, on purchasing the microwave oven from Frigidaire, you can be sure you’re getting a premium product that will stand the test of time. Everything about this microwave screams high quality - all the mechanisms work very smoothly and quietly. The unit is made from real stainless steel with a protective coating that reduces fingerprints and smudges, making it easier to clean. Plus, the smudge-proof finish looks crazy good. 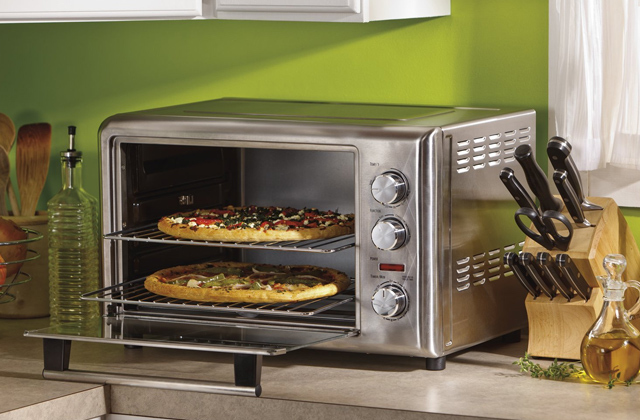 What also sets this oven apart from others is its amazing cooking performance. 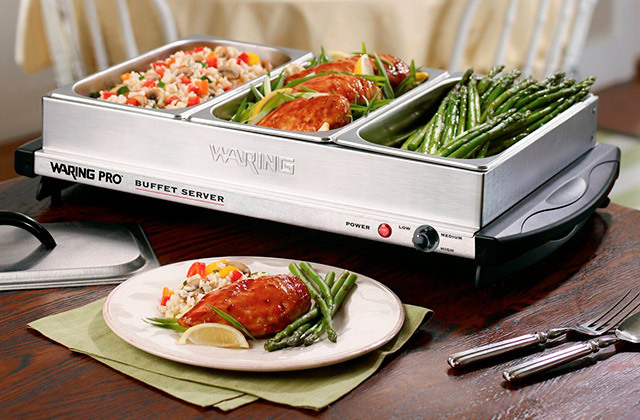 It uses as many as 1200 Watts and cooks everything evenly as expected, with no surprises of being too hot or too cold. Thanks to built-in sensors, the microwave automatically adjusts the power level and cooking time depending on the food. That said, the microwave offers over 30 versatile settings including one-touch options for Chicken nuggets, Baked potatoes, or Popcorn. Also, there are three "Snack Menu" modes for 3-8 oz hand-held snacks. All the beeps from the button presses are very quiet, however, notifications letting you know the cycle has ended might seem a bit annoying. 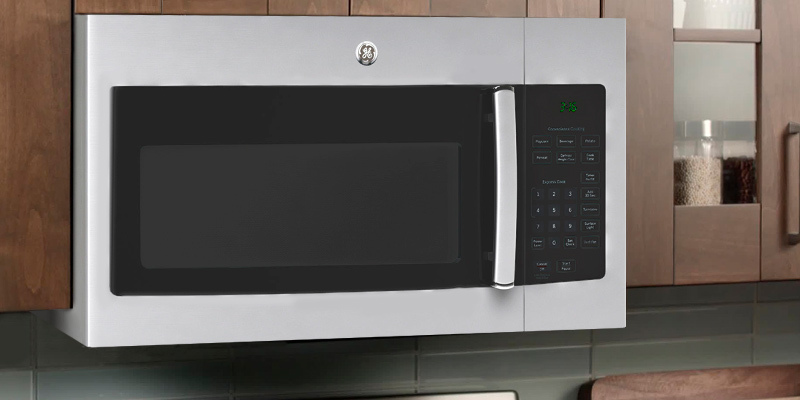 The Fits-More™ design also brings the Frigidaire FGMO205KB over the top. It’s a quite large microwave with a spacious interior and 2.0 cu. ft. of cooking capacity. So, if you’re in the market for extra large, extra powerful, and extra durable built-in microwave, the Frigidaire FGMO205KB is a worthy investment. Need a stylish microwave for your high-tech kitchen interior? Then, you’ll hardly find a better model than the GE JNM3163DJBB. This microwave oven looks sleek with its stylish black casing and simple design. It has no extras that can make its interface look too "busy". 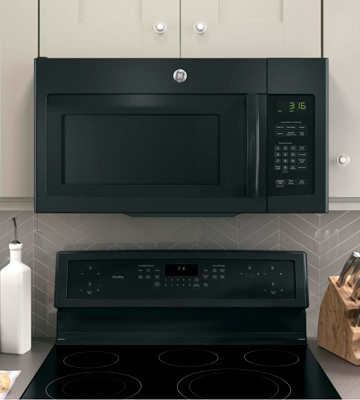 Featuring a black tempered glass door, a control touch panel on the right side and an exquisite steel emblem at the top, the microwave seamlessly blends with black kitchen appliances and facades of kitchen cabinets. 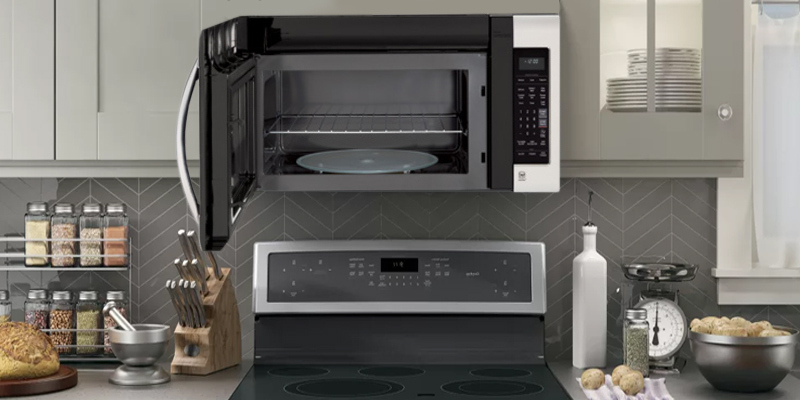 Another thing in favor of the GE JNM3163DJBB above-range microwave is its small footprint taking up very little kitchen space. Although this over-the-range oven has a 1.6 cu. ft. cooking capacity, it can fit larger casserole dishes. 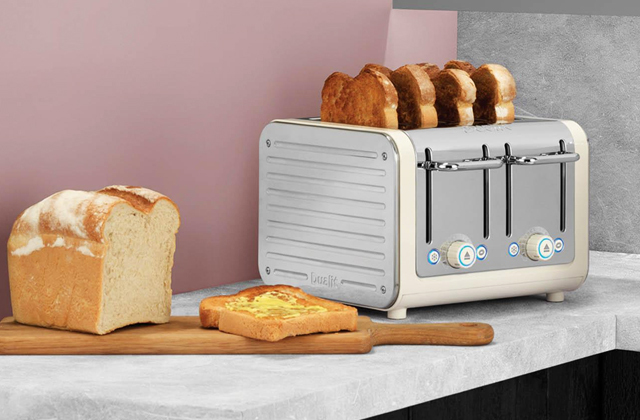 All the controls are intuitive and the layout is very convenient - the unit offers one-touch settings for Beverage, Popcorn, Potato, as well as Cook Time, Reheat, and Defrost (weight/time). The other control functions include “add 30 seconds”, timer on/off, turntable on/off, and more. 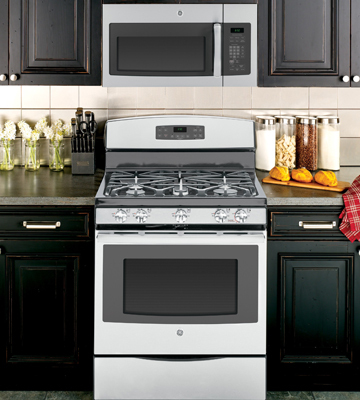 The appliance uses a two-speed fan with 300-CFM venting system that efficiently removes smoke, steam and other odors. However, even on the lowest speed, the fan seems overly loud for some users. But that’s the cost for the superior ventilation. 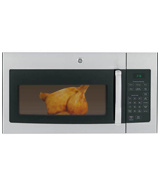 In all, the GE JNM3163DJBB is a sleek-looking microwave that is simple to use and effective at removing foul food odors. It’s a great fit for small, contemporary kitchens. If you want to use your kitchen space as wisely as possible, an over-the-range microwave is a solution. It has numerous benefits over simple countertop models. Actually, it's a 2-in-1 unit, combining an exhaust fan and a microwave. It can be discreetly installed over your stove, thus, taking minimum space. They have built-in exhaust systems and powerful fans inside. And no wonder, this type of microwave ovens is very "RV- friendly" and great for use in your motorhome as well. So, how do over-the-range units work? 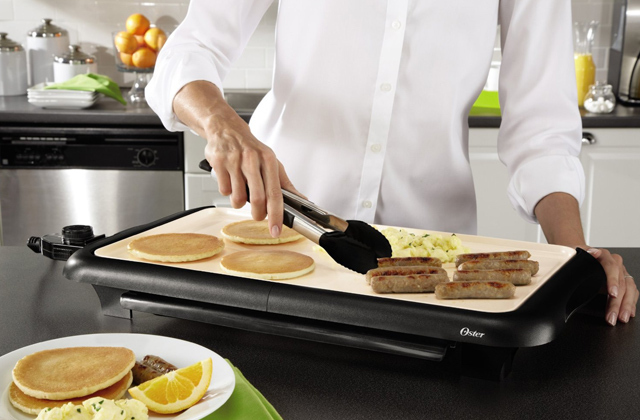 They come with ventilation fans that are able to work at multiple speeds to remove cooking odors from your stovetop. Plus, the included cooktop light can illuminate your stove area. All this with no additional wiring and, consequently, no clutter in your way! As a rule, you can also configure these microwave ovens to filter and redirect air to the outdoors according to your kitchen design. If you want to vent it outside, you can easily arrange the ductwork to vent air either horizontally (through a wall) or vertically (through a ceiling). 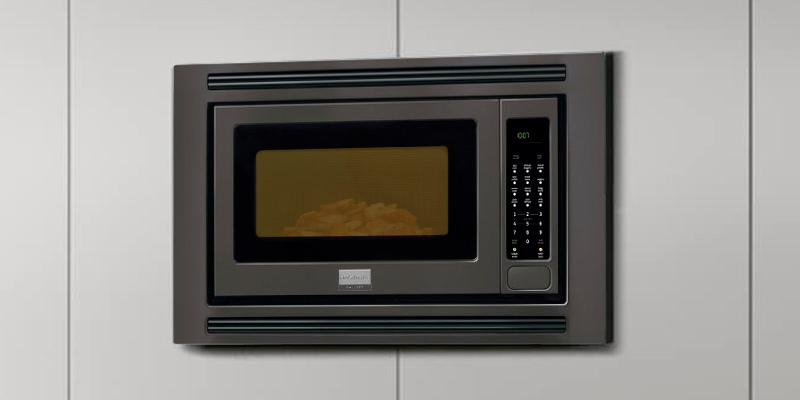 For this review we have selected the best over-the-range microwaves, but if you still hesitate what type of microwave you really need, we kindly offer you to look through our reviews on cooktop microwave ovens and built-in microwave ovens.